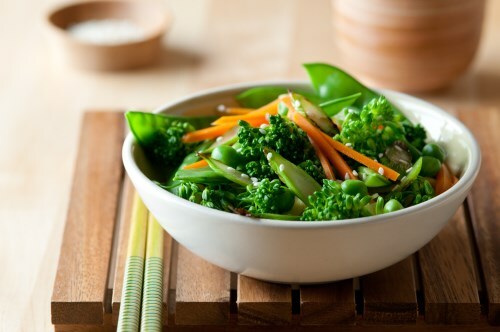 Combine the broccoli and bell pepper in a bowl. Sprinkle the steak seasoning, chili powder, garlic powder, salt, and pepper over the vegetables; drizzle with the extra virgin coconut oil and toss to coat. Spread the vegetables into a shallow baking dish. Bake in the preheated oven until the vegetables are tender and beginning to brown, 15 to 20 minutes.